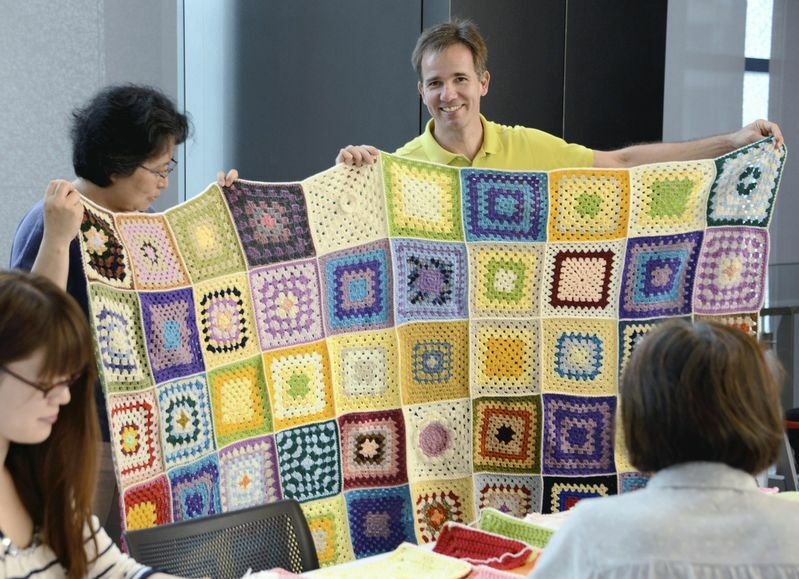 The Japan News published a very kind article about our ‘Granny Square Project’. I am still can’t believe, that we will make the 400 sqm blanket next week. This entry was posted in Granny Square Project and tagged グラニースクエア, ケストラー, ニットオタク, ニット男子, ベルンド, モチーフ, crochet, donate, donation, earthquake, Granny Square, granny squares, japan, knit, knit for japan, Miyagi, photo, tohoku, 写真, 宮城, 東北 by bkestler. Bookmark the permalink.